A chance participation in a virtual decor makeover contest run all across the country by Asian Paints called the Asian Paints i-style contest declared me as the Grand Prize Winner!! What was the contest about? 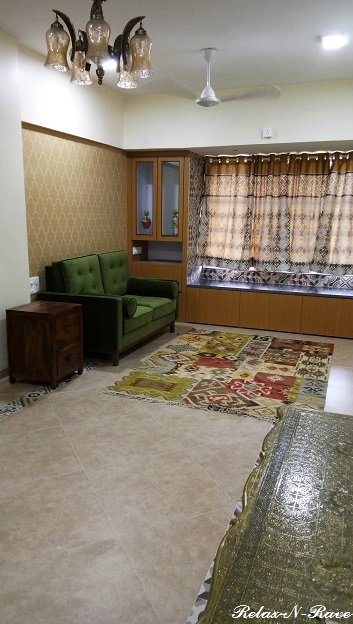 You have to select a virtual room of your choice on the Asian Paints Colourstore website and give it a makeover with furniture, wall finishes, decor accessories, light fittings etc. available on the site. This is the room I created and named, 'My Cool Green Den', THE prize-winning entry!! For once I had won a substantial prize! Happy, happy me! 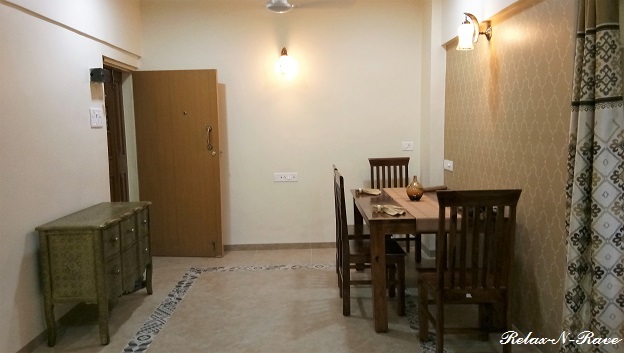 The Grand Prize Winner was to receive a Home Decor Makeover worth Rs 2,00,000!! 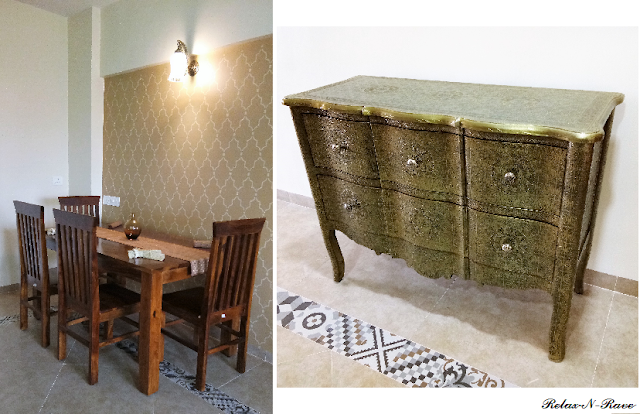 So here's my post detailing the Makeover! 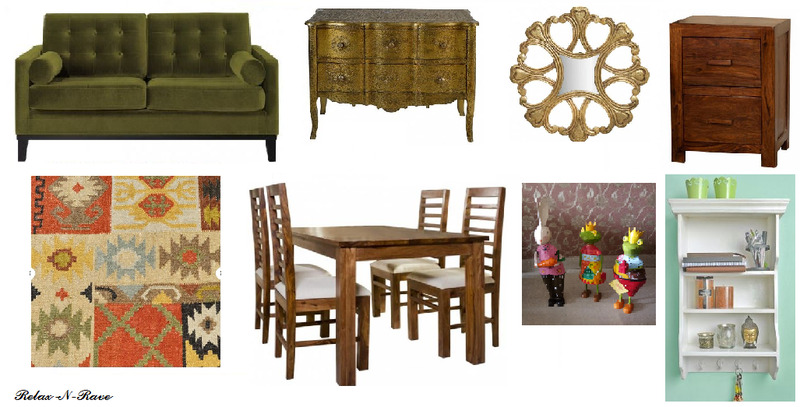 Firstly I decided on THE room to makeover - My living room it was! I started making a shopping list as advised by the Asian paints executive. The Label Life, The Yellow Door Store, Orange Tree, Six Inch, The Wishing Chair and Maspar. I surfed the websites of all these brands and came up with a wishlist, no mean feat! 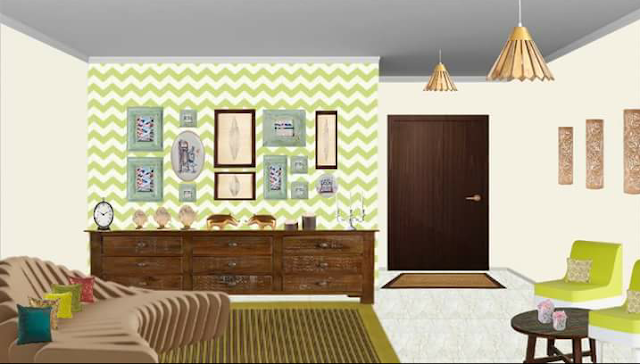 While preparing the list I had to keep aside a tentative budget for the wall makeover by Asian paints. 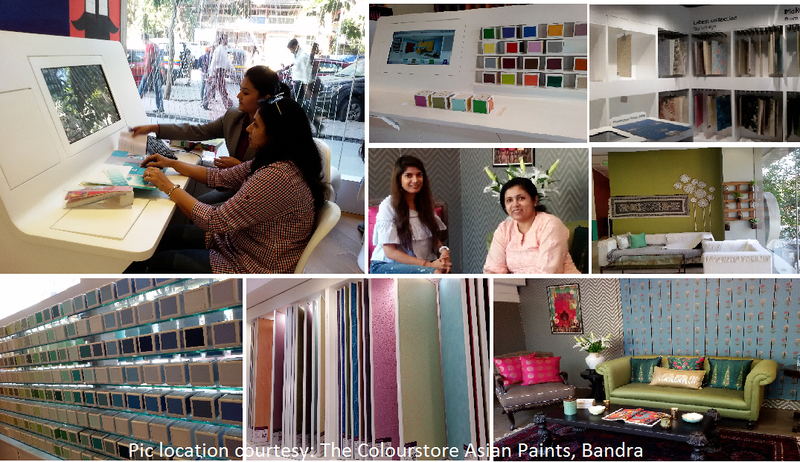 I visited the beautiful Asian Paints Colour Store in Bandra and was given a tour of store displaying the wide range of wall finishes that the company offers. With the help of their in-store design executive I finalized the wall effect I wanted. I also met Interior Designer Esha Gupta at the Colour store and discussed the makeover with her. 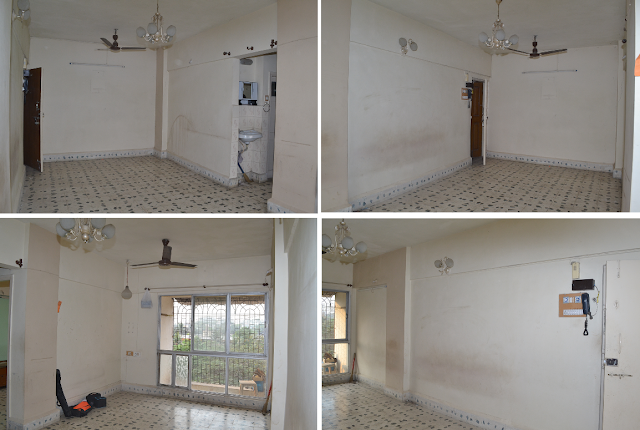 I was keen on a Before/After shoot for the makeover and Asian paints sent across their photographer for the BEFORE shoot. 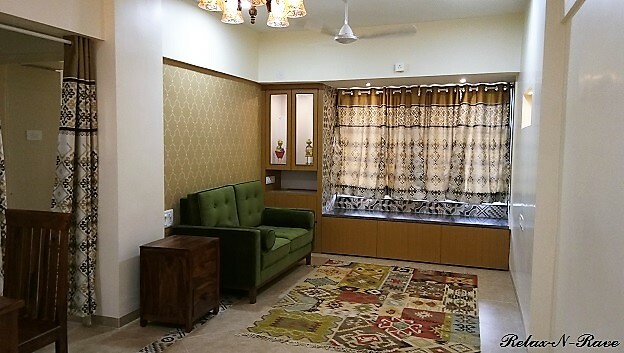 So here we have this living room (Size - 22' x 10'), with an extendable flower bed area. I decided this was the best time to go in for a TOTAL MAKEOVER for this room. This led to me drawing up plans for civil, electrical and flooring changes besides the furniture layout. Include the available flower-bed into the room and create a ledge seating with storage underneath. Level out the wall next to the window, so that I could position a TV on that wall. Change the flooring to something rustic and unique. 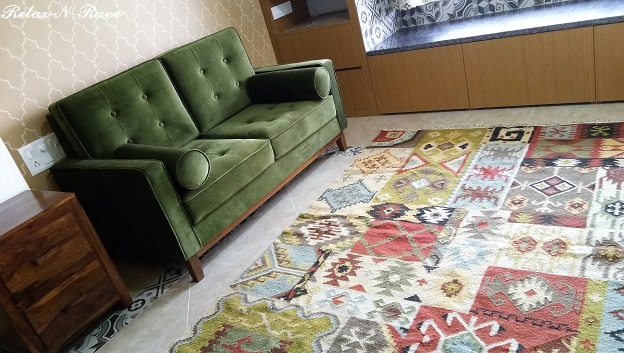 My overall design concept was to have a cozy, inviting room with earthy tones and minimal furniture. After a month long civil remodeling, the room started taking a new shape. Looks messy, doesn't it? 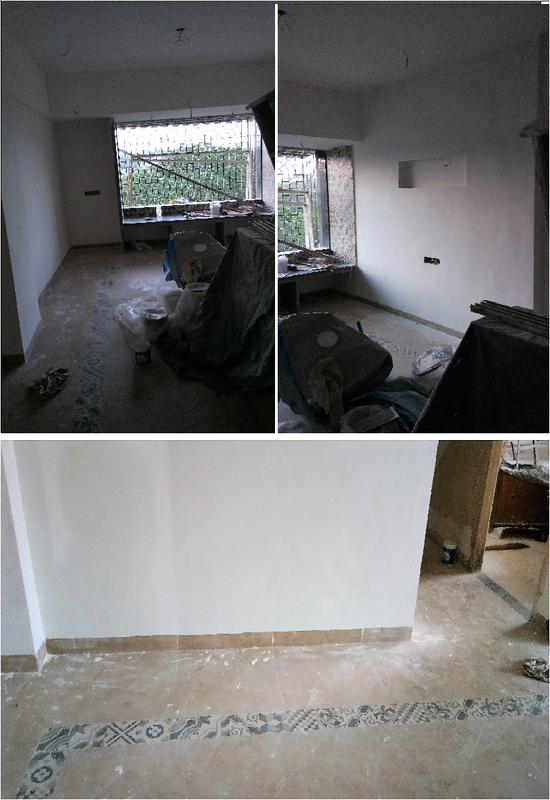 Till the painters and carpenters get into the picture, civil work doesn't convey how much work has been accomplished! 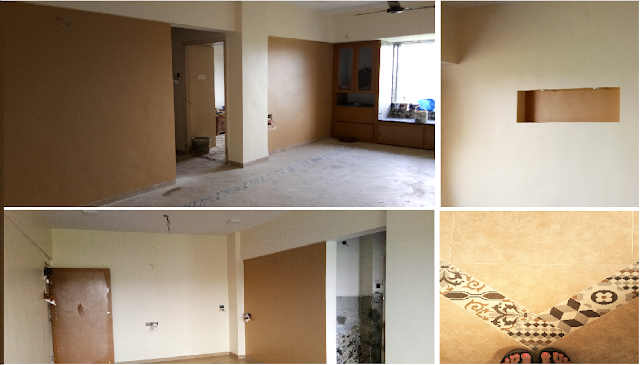 So once the civil and electrical works were done, I got the carpentry and lastly the painting team in, and now you can see the transformation! 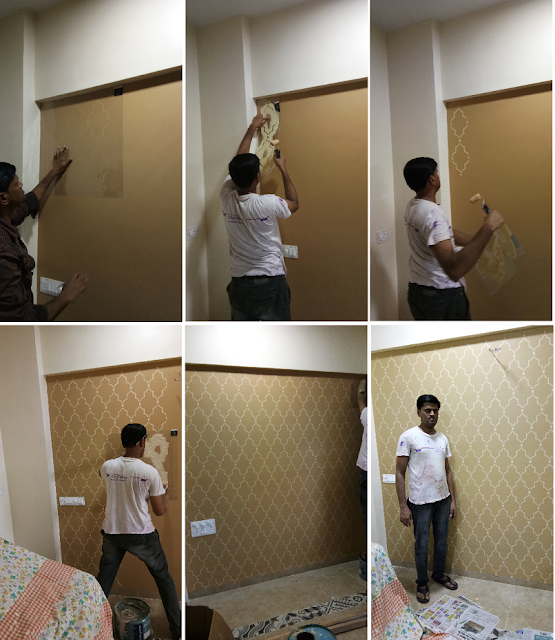 For the feature walls, I selected the Minaret stencil from Asian paints and it was deftly executed by their master painter, Salim. In the meanwhile, the shopping list I had drawn was making its way home, one package at a time! 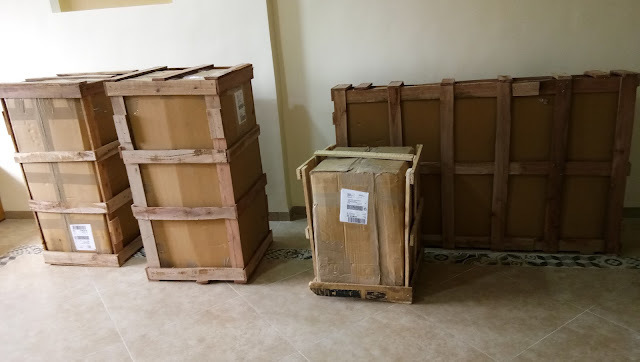 Finally the goodies were ready to be unpacked into the brand new room! All items were ordered from The Yellow Door Store in Delhi. Tada!! The spanking new room makeover!! And, there you have it! The BEFORE-AFTER classic comparison! I am grateful to Asian Paints for creating such a wonderful and creative contest, giving people an opportunity to make their dream room come true! The chance participation in this contest was thanks to Blogchatter! The Makeover Room as it is now known, has several new additions and is a cheery, inviting space that will be a fond reminder of my happy win!